An upcoming coin auction in the Land Down Under will be sure to please numismatists around the world with its wide selection of beautiful coins from Australia and beyond. 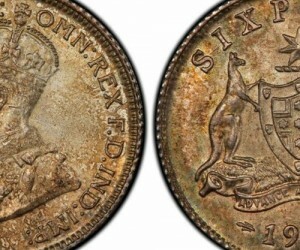 Being held concurrently online at iCollector.com, the Nov. 18 auction of world coins will draw heavily from the royalty and kangaroo-adorned florins of Australia, while also offering a selection of pieces from other countries noted for their distinctive currency, including Canada. Many of the most outstanding coins on the block can trace their origins to the early 20th century. An extraordinarily rare florin from 1919 with a Professional Coin Grading Service rating of MS63 (lot #173) is one of the finest examples of its kind in the world, and will be sure to draw a lot of attention when Nov. 18 rolls around. The 1919 florin is complemented at the auction by two others from the same era – one minted in 1923 that also holds a rating of MS63 (lot #174) and another from 1916 that features the profile of King George V and holds a rating on MS64. The Australian halfpenny will also be well represented at the upcoming auction, and the many examples available will be a boon to some lucky bidders' coin collecting habit. The gorgeous, finely crafted 1925 halfpenny, with an MS63Rb rating (lot #118), might be the highlight of that particular batch of coins. However, it is easily rivaled by several other versions, including one from 1931 (lot #119), which was a key date in halfpenny minting history, and a 1911 with a coppery finish and a rating of MS64RD that collectors will have a difficult time matching in terms of sheen and quality. Of course, some of the coins that were minted in the later part of the 20th century are also quite beautiful and valuable. An exquisite two-cent coin from 1966 with a black backing and the gold-embossed visage of Elizabeth II (lot #91) is enough to make anyone's head turn, but will be especially appealing to appreciators of Australia's coin history. Also not to be missed is a proof pair penny set from 1963 with both a red penny and red halfpenny (lot #110) that are in nearly flawless condition. Those coins and more will make the Nov. 18 rare coin auction one that collectors from around the Pacific Rim and beyond won't want to miss out on. 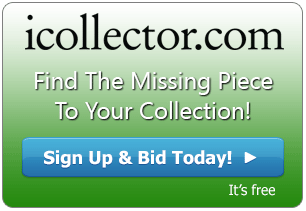 And the best way to get access to this amazing inventory is to log on to iCollector.com and start putting bids right away.